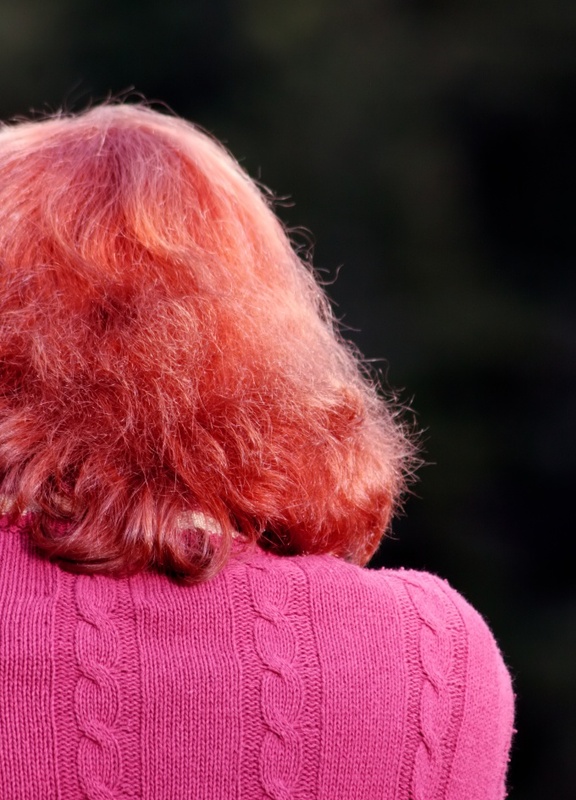 Scientists have proved that a woman almost always radically changes the color of the hair, if in her life there was some important event, or is it only going to change something. Then staining in a different color is a kind of preparation for the upcoming changes. Only 10% of women change the image just. Very often, in pursuit of beauty and sexuality ladies bleached hair. Sometimes it's not easy to do, because natural hair color consists of a combination of black and brown and red pigments. During bleaching (oxidation of the color pigment) quickly disintegrate only the first pigments, red is very hard to bleach. How to turn from a fiery beast in delicate blonde? Rate the condition of your hair. - sensitivity of the hair. If your hair is difficult to dye, so you have to again weigh the "pros" and "cons". Red hair usually thin in structure, therefore they are very easy to spoil, but the recovery process is very long. If you have the opportunity, it is best to carry out the procedure of lightening red hair at the hairdresser. If you decide to turn blonde at home, then consult with a specialist, what way of bleaching the most suitable for you. To lighten red hair often have to spend not one but two treatments, therefore, only a professional hairdresser can help you to make a choice. Correctly apply decolorizing composition on the hair. This is the first stage of becoming a blonde. The bleaching product is applied on dry unwashed hair, starting with the dark areas: the occipital region. If the ends are dry, paint them in the least. The same goes for temples. The mixture is left on the hair from 20 to 50 minutes, depending on how fast you will be staining. If, after the first bleaching red hair pigment is not fully oxidized, it means that you will need to re-lighting, which can be carried out not earlier than 2 weeks. During this time, the structure of the hair slightly restored. Dye the hair after bleaching to desired shade. This is the second stage of bleaching. It is held when originally red hair under the influence of slanderous media have become yellow or pale yellow. For hair apply toners or soft contact lenses paint. If the hair is badly yellow, it is best to choose natural and light shades of colors with gold glitter. Neutralize the yellowing toning shampoo with purple pigments, which are applied on clean, damp strands literally 3 minutes, and then wash off. Take care of bleached hair right. To become a gorgeous blonde with beautiful hair, you need to start strongly and regularly take care of them after bleaching. For cleaning only use special soft shampoos. Conditioner and protective leave-in creams and sprays - all of which should be at hand. Don't forget to do a few times a week revitalising mask: natural or industrial production. Only with good care bleached hair will look gorgeous and attract attention to their gold or platinum luster.